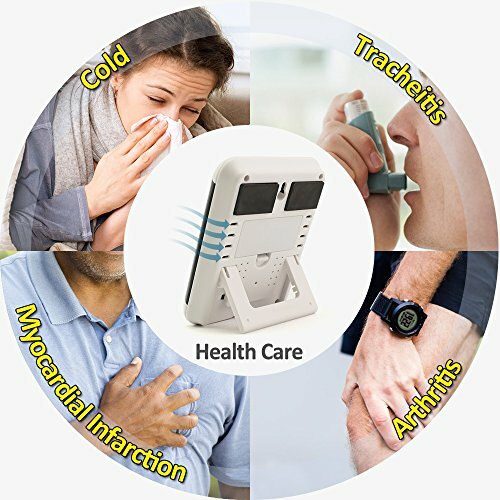 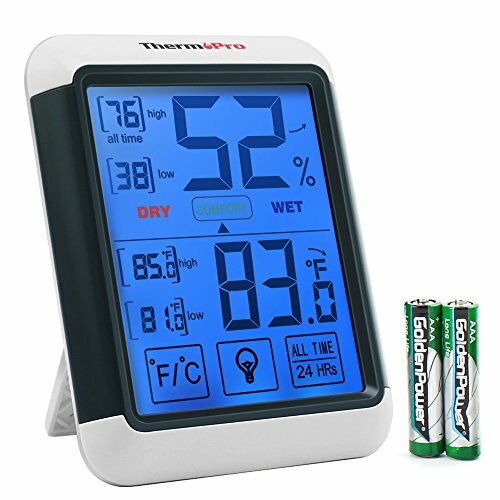 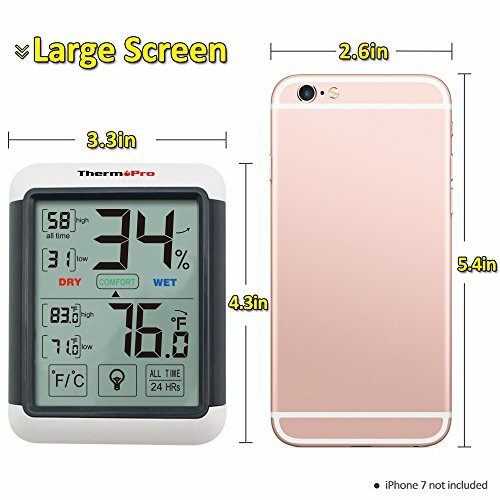 Equipped with professional grade sensors, the ThermoPro TP-55 provides most accurate measurements, be it for humidity or temperature, allowing you to be aware if adjustments are necessary for your household. 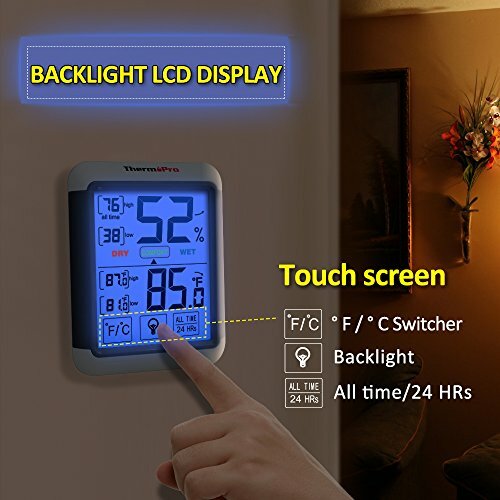 The TP55 is not just highly accurate but extremely user friendly with a backlight for those nighttime last minute checks on current readings before bed. 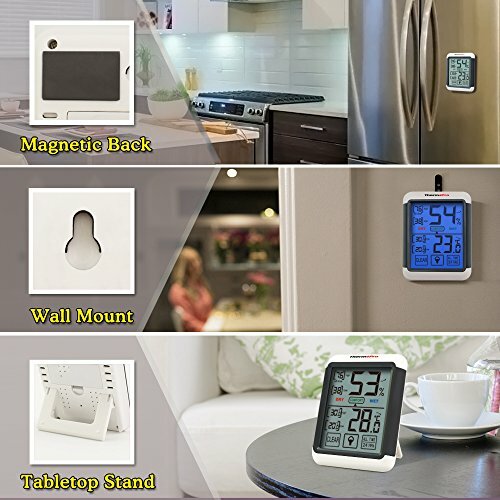 That’s not all, no longer will it be necessary to unmount the device off your wall or fridge to switch settings, simply use the touchscreen display. 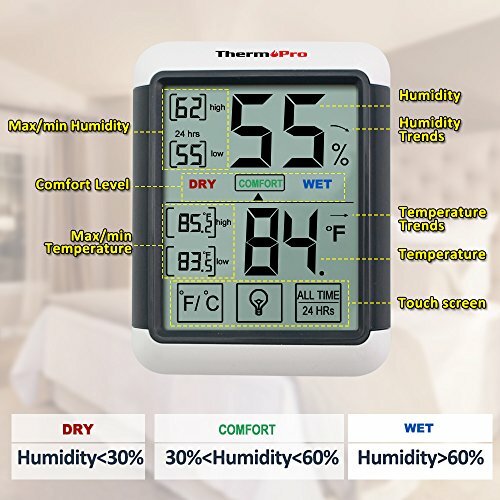 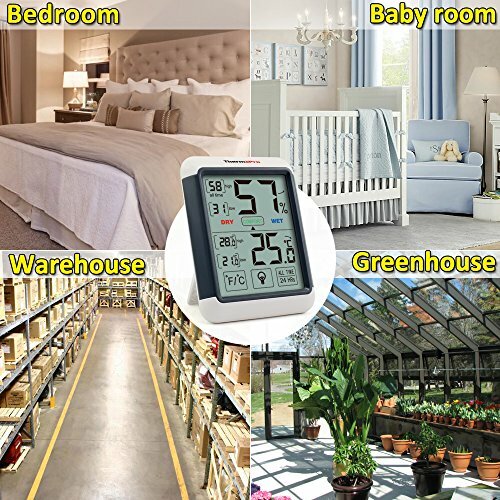 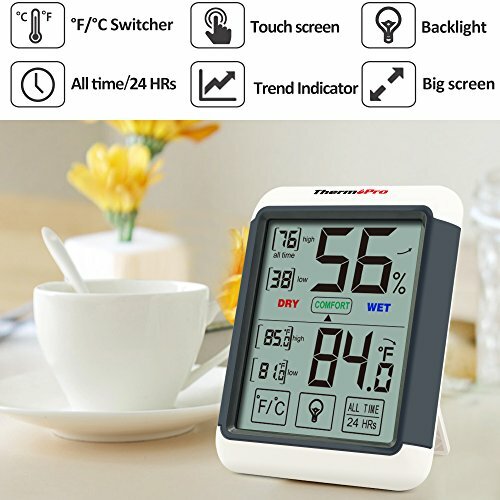 Furthermore, it provides an abundance of valuable information, such as displaying 24 hour/all-time high/low records and current trends for both humidity and temperature and humidity level icons that indicate if your home is too humid, too dry or just right!